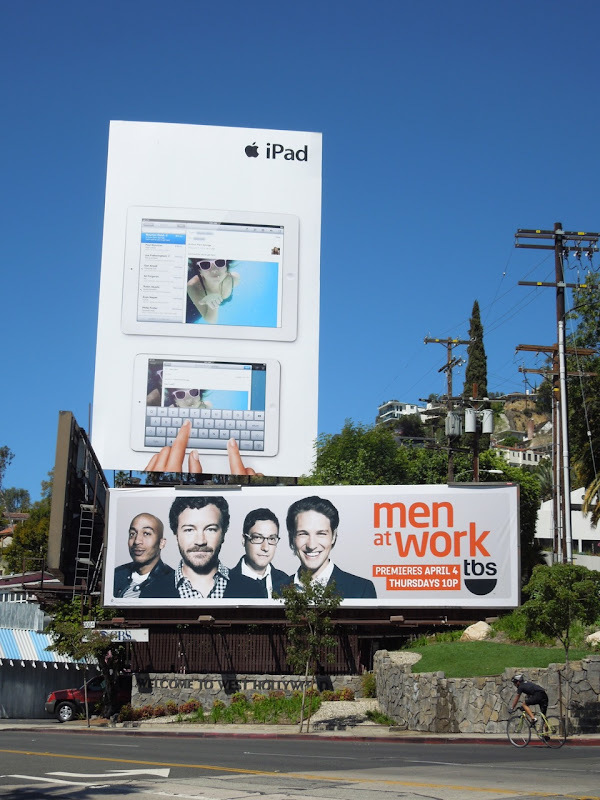 The features writer, the photographer, the ad salesman and the accountant are back at work for a second season of friendship, relationships and life working at Full Steam magazine. 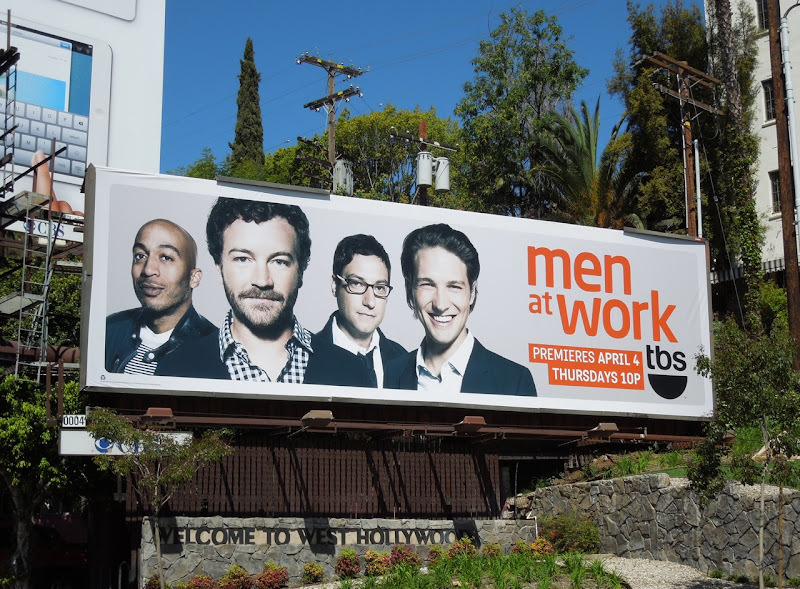 James Lesure, Danny Masterson, Adam Busch and Michael Cassidy are the 'Men at Work' (and nothing at all to do with the 80's Australian rock band of the same name). 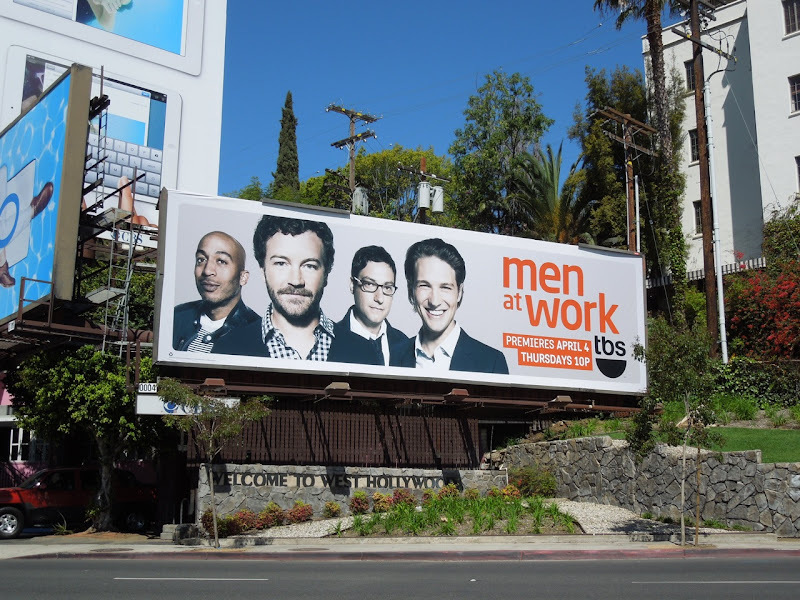 This simple billboard for the workplace sitcom was spied along Sunset Boulevard next to the Chateau Marmont Hotel on April 9, 2013. 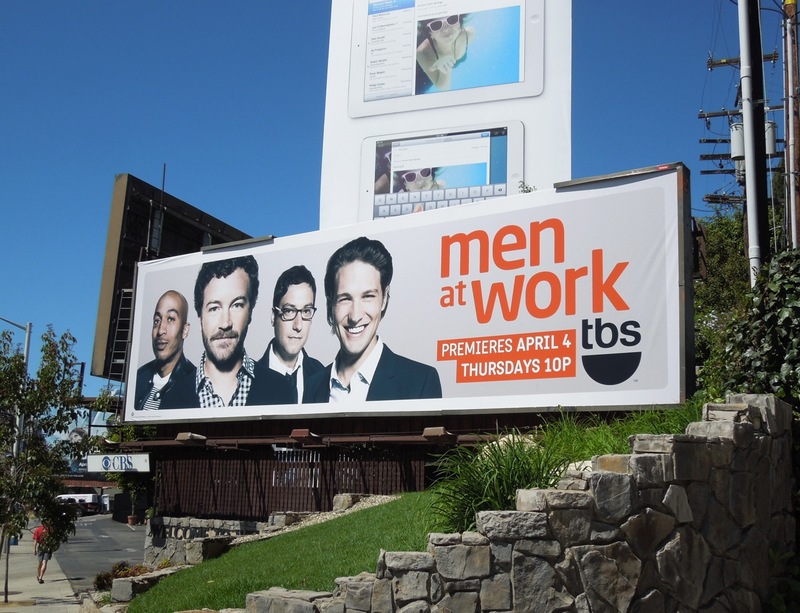 If you're a fan of the show, be sure to check out Men at Work's first season billboard homage to the iconic Lunchtime atop a Skyscraper photo.